The Finance Director provides over-all leadership to the entire Finance and Support Services function that include Risk Management and Control, Procurement, Treasury and IT. The position is responsible for managing the finance and support services functions of HFHP.Implements programs and policies to ensure functional efficiency. Responsible for the day-to-day management of a team of professionals. Implements programs and policies to safeguard financial and physical resources.HFHI and donor requirements related to the disposition of funds and financial reporting for HFHP projects. Establishes partnerships with external organizations to meet HFHP goals. As part of the senior management team, reviews and decides on issues that have significant impact on the organization. Establishes & implements standards, policies and processes across the organization & monitors functional areas to ensure compliance with HFHP/HFHI requirements. 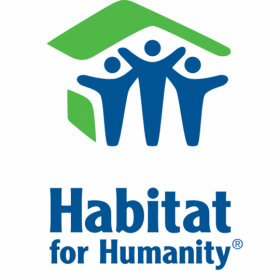 As a member of the senior management team, participate and contribute toward the achievement of Habitat Philippines annual and long range strategic planning objectives. This includes developing appropriate strategies, activities and key performance indicators; in addition to the development of sustainable business models. Advises on the feasibility of projects, reviews proposed projects and status of ongoing projects, and makes recommendations on issues affecting the organization. Internal: organizational revenue/expense and balance sheet reports, cash flow reports / projections, reports to funding agencies, development and monitoring of organizational and project budgets. Develops and manages an annual plan for the function such as treasury, budgeting, tax, accounting, purchasing, and information systems. Presents financial reports and makes recommendations to the executive committee / Board of Trustees on matters pertaining to the departments function. Monitor and maintain banking activities of the organization. - Provide functional leadership to a team of managers/professionals/specialist, including mentoring, performance review and pay recommendations. 10+ years of progressively responsible experience. At least 5 years’ experience in a leadership role. Computer skills: word-processing, spreadsheet preparation, internet usage; financial software. Strong organizational and team-building skills.